Price Drops, Sales & Promise Breaks 100 List! I caught it last night right at #100 in the category and it’s since dropped a few notches. Yay!!! Finally!!! Sales had been increasing all through March, but maybe what finally did it was this: price drop to 99 cents. That’s right. 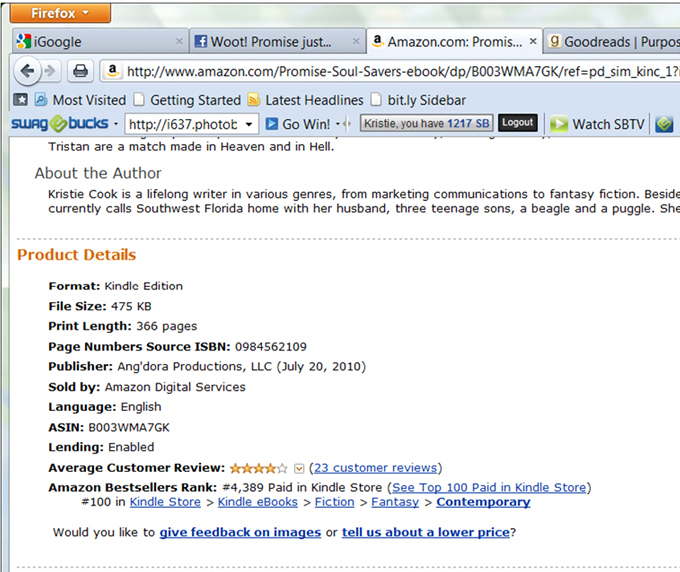 Promise ebooks are dropped to 99 cents on Amazon and Smashwords and should start showing up on other retailers soon. Purpose ebook has been dropped to $4.99. Amazon and Barnes & Noble also have both paperbacks on sale! 5 Responses to Price Drops, Sales & Promise Breaks 100 List! Whoo hoo! This is fantastic news! Congratulations! It is definetely a milestone! Congratulations!